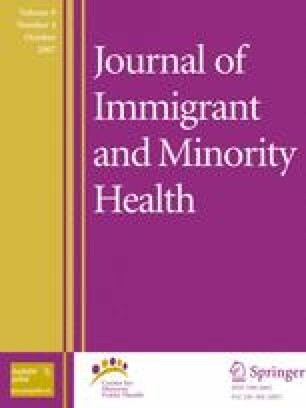 This study provides national prevalence estimates for complementary and alternative (CAM) use, visits to doctors for health problems, and the effects of acculturation on health practices in Chinese women living in the United States. A national telephone survey of 3,172 women on their use of complementary and alternative medicine was conducted in 2001. This study focuses on a subsample of 804 Chinese-American women who were asked about health practices and service utilization. Interviews were conducted in Mandarin, Cantonese and English. Forty-one percent of Chinese-American women used some form of CAM in 2001. Socio-economic status, a common predictor of CAM use in other studies of the general population in the United States, did not predict use in this sample. Traditional Chinese medicine (TCM) is used across acculturation levels. As Chinese women adapt to American culture they tend to use a greater variety of healthcare practices and to adopt mainstream CAM practices, but they also continue to use TCM. This work was funded by NIH/NICHD grant R01 HD 37073, and included support from the NIH/National Center for Complementary and Alternative Medicine. Pilot studies were developed with funding from NIH OAM grant U24 HD33199-03 with support from the NIH Office of Research on Women’s Health. Thanks to Kenny Kwong and Brenda Wan of the Chinatown Health Clinic in New York City; Elissa Krauss, Ed Cohen and Stuart Lahn of Audits & Surveys Worldwide; Marian Reiff, Christine Aguilar, Marnae Ergil, Li Zhou, and to the more than 800 women who took time from their busy days to answer our questions about their healthcare practices.